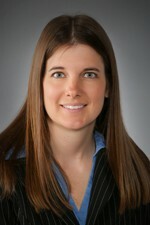 Elaine Koch is a certified paralegal with the firms Toxic Tort group. Ms. Koch has experience in document management, settlement coordinator, and practice manager experience to organize and track a large volume of cases. she assists attorneys with drafting of legal documents, correspondence, database management, and document review. She has knowledge in digital case management, including digital imaging and e-discovery methods.